This post may contain an affiliate link. Winter Fest 2018 is blowing into the OC Fair & Event Center on December 20 – January 6! 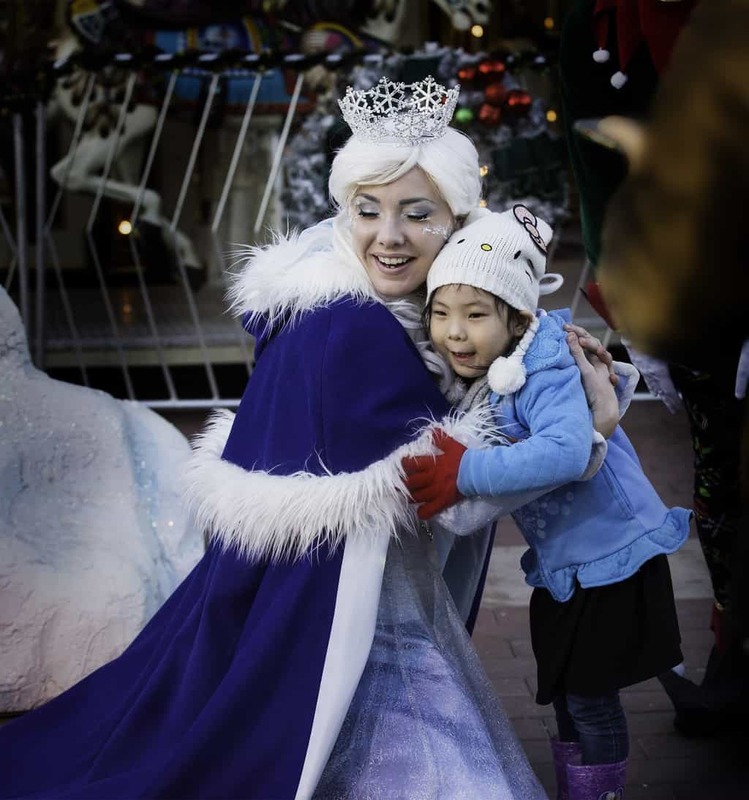 Winter Fest embodies the spirit of the winter season, bringing fun and merriment to sunny Southern California. Winter Fest is a giant wonderland of immersive wintry fun featuring a full outdoor ice rink, 130-foot, six lane Snowflake Summit ice slide, a snow play park featuring real snow blown in daily for snow angels and snowman building, photos on the world’s largest rocking horse, a Festival of Lights two-million-light-stroll-through display and a nightly tree lighting ceremony with parade, snow flurries, fireworks and flying Santa, and so much more! Winter Fest is an affordable holiday experience that ensures a fantastic adventure rain or shine, for eighteen days and nights, during the traditional holiday school break. The best part is that the majority of the main attractions and entertainment are indoors. 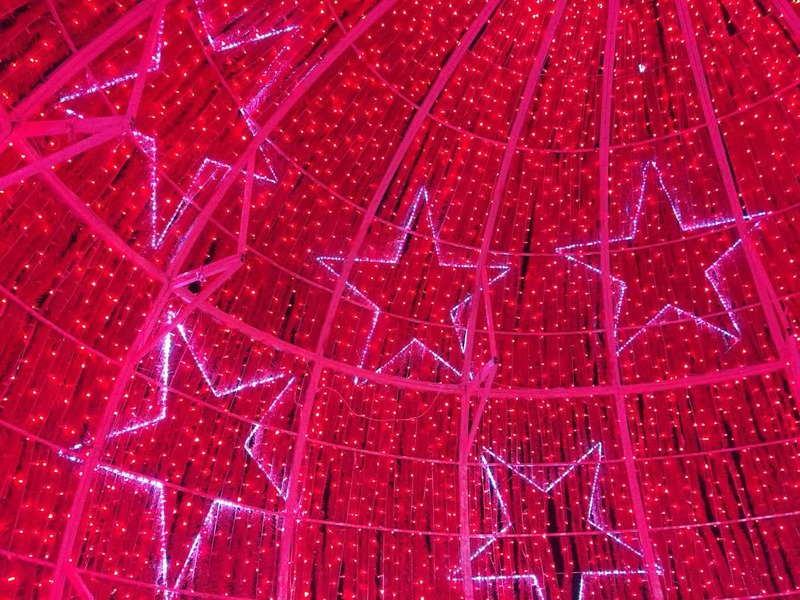 Right now you can get COMPLIMENTARY TICKETS to Winter Fest Orange County on Goldstar.com (on specific days and a small service fee applies). These special prices includes general admission + 1 sledding fast pass per person. 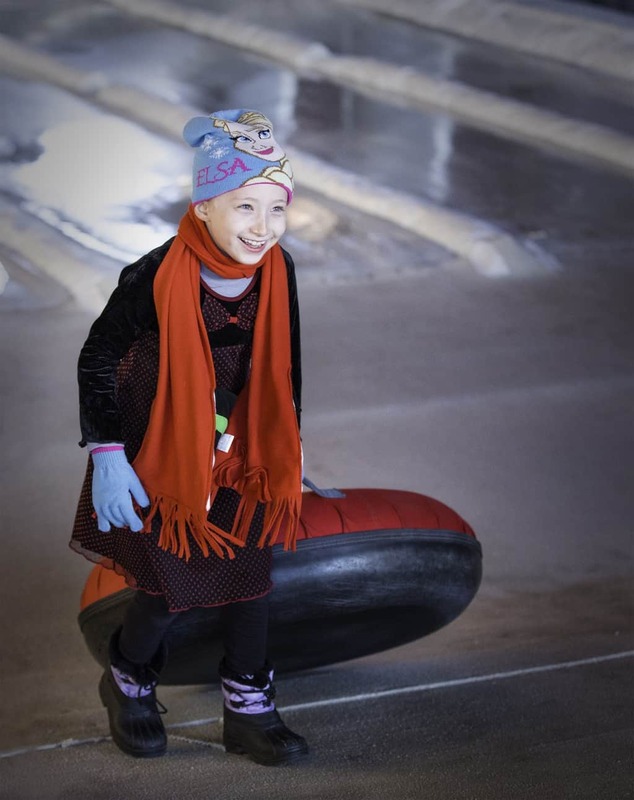 All tickets are a fantastic value, allowing unlimited access to tube down the 130-foot, six-lane Snowflake Summit ice slide (available for guests 42” and taller). 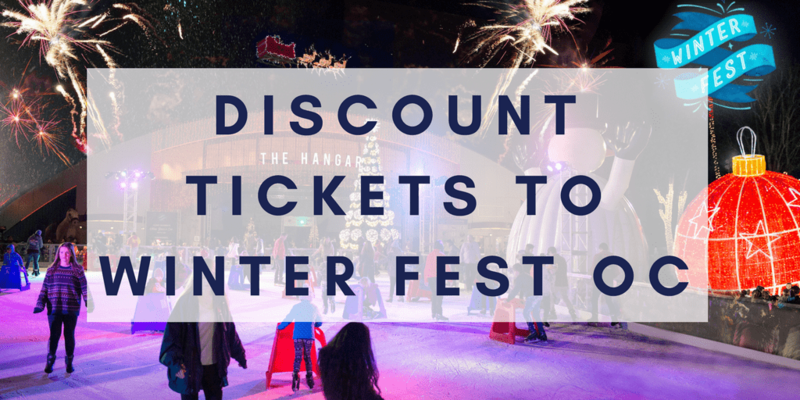 General admission starts at $10.00 per person to Winter Fest. Season passes are also available for all 18 days of Winter Fest to capture plenty of Instagram-worthy pictures. 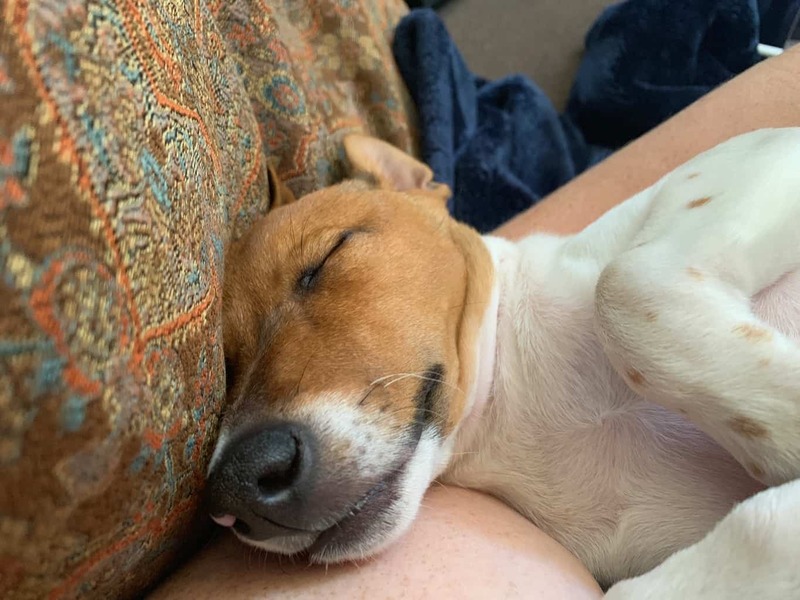 Meet Doe, our new Rat Terrier puppy that we just adopted from San Diego! Doe is a 14 week old female pup that is cute as a button, but fiesty as a whip. My husband and I owned two Rat Terriers before named Jumper and Tinker. Tinker was the first dog to be featured as “Field Trip Dog” on SoCalFieldTrips.com. We loved Tinker’s personality so much, that we wanted to adopt another Rat Terrier when were able. So now, the new dog journey begins with Doe! 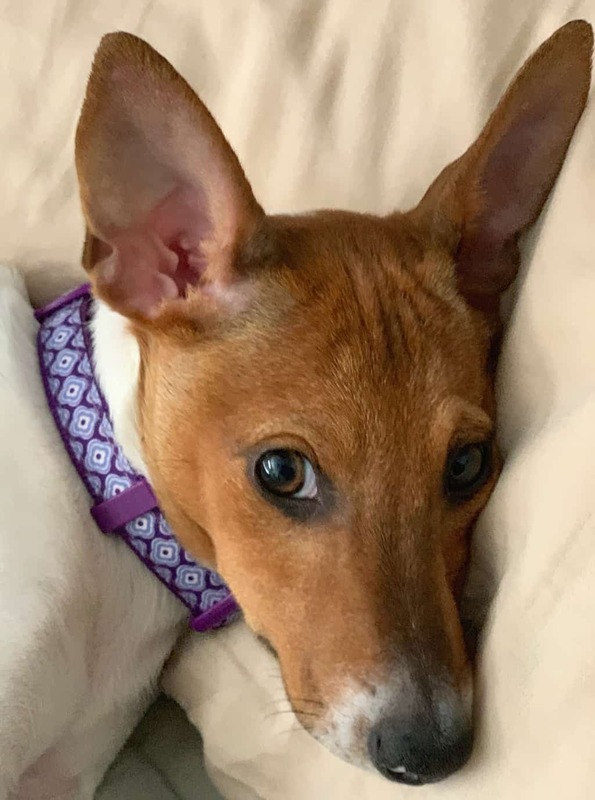 Doe is a very high energy puppy who loves to soak up the outdoors and enjoys walking, jogging and playing ball for hours on end. She doesn’t hesitate to tell us what she’s thinking either. She makes all sorts of funny noises when she wants our attention or is chasing after one of the kids. We also quickly discovered that Doe doesn’t like household chores, and would rather chase after the broom, than help pick up the leaves. Oh, my! We definitely have our hands full, but we can’t resist her sweet looking face! This summer Knott’s Berry Farm welcomes HangTime, the first and only dive coaster in California. The brand new coaster towers 150 feet over the Boardwalk area of California’s favorite theme park, showcasing gravity defying inversions, mid-air suspensions and a beyond vertical drop – the steepest in California. Earlier this month I had the opportunity to attend the HangTime grand opening celebration at Knott’s with family and friends. HangTime takes riders up 150 feet, through 5 inversions, running at speeds of up to 57 mph. It’s a exhilarating ride that’s sure to thrill both children and adults. My son and his friend were some of the first people to get in line to ride the coaster. In fact, they there were #16 and #17! The normal wait time to get on the coaster is approximately an hour. Knott’s pulled out all the stops for the premier of HangTime. They were gracious in their hospitality with festive food and drink stations around the Boardwalk and provided live hulla hoop demonstrations for visitors. My friends and I enjoyed eating summer time classics like hotdogs and french fries at Johnny Rockets, while watching the beautiful fountain in Charleston Circle radiate across the night sky. 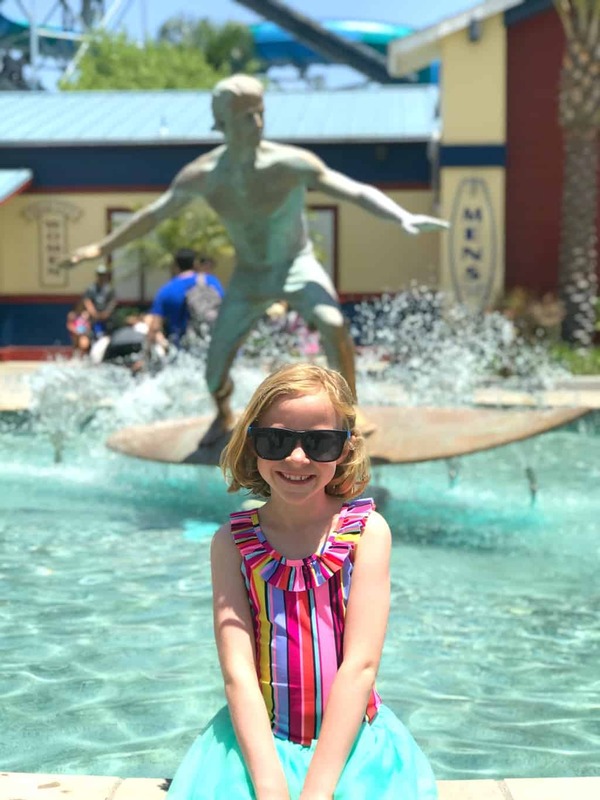 Knott’s Soak City in Buena Park is officially open for the summer. With last year’s addition of 2 new water slide towers with 7 new water slides, visitors are bound to have fun all summer long! In 2017, Knott’s Soak City underwent some major renovations. The theme park repainted all the existing water slides including Banzai Falls, which has 6 multi-lane speed slides where riders are dispatched head first on a mat from a platform over 41 feet high. Just watching the riders soar down Banzai Falls makes my knees shake! The team also gave the Laguna Watch Storm Tower a nice makeover. Look at how brightly it beams in the sun! 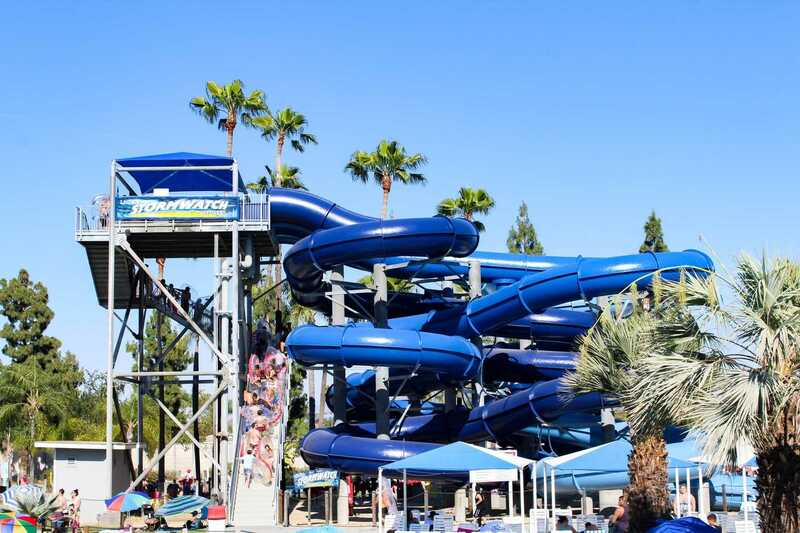 Next, Knott’s Soak City added 7 new water slides throughout the park. 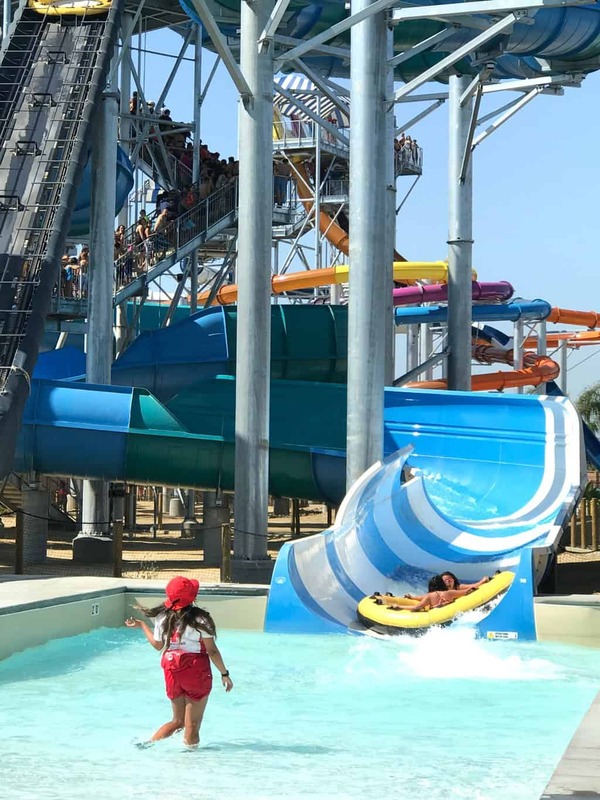 My son’s favorite ride is the “The Wedge”, a family-oriented water slide that holds up to six people at one time and descends down navigating twists and turns at a very fast pace. 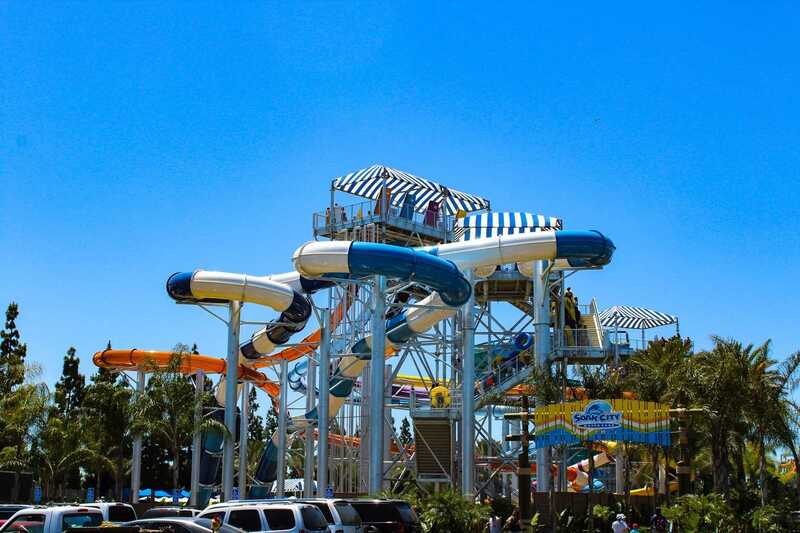 Nearby is “Shore Break” which towers over 7 stories high and features 6 different thrilling water slide experiences. 4 of the slides start with guests climbing inside an Aqua-Launch chamber and waiting for the floor to drop out from underneath their feet. Eek! Celebrate the end of the school year and the start of summer by attending SoCalMoms Great Big Family Play Day on Sunday, June 10 at The Autry in historic Griffith Park. 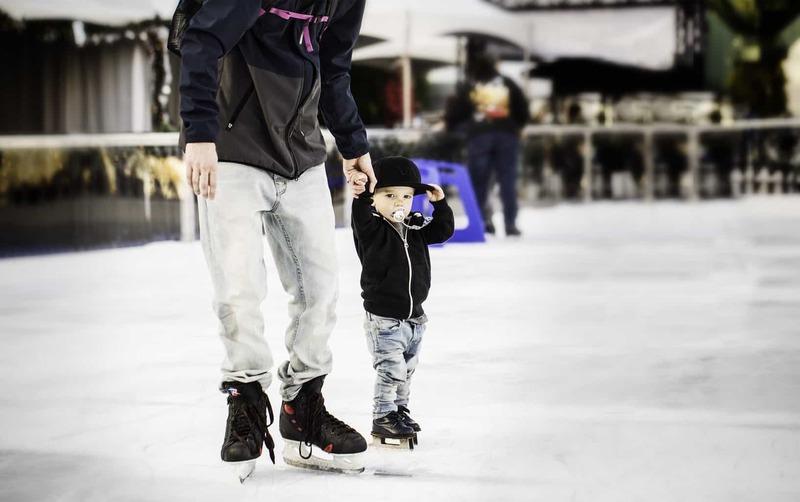 It’s a family experience unlike any other in Los Angeles! At the Great Big Family Play Day families can enjoy live entertainment and interactive experiences for kids of all ages! There will be classic carnival rides and attractions, the best of everything local for families plus food, samples, products, the Great Big Raffle, Family Bingo and so much more. 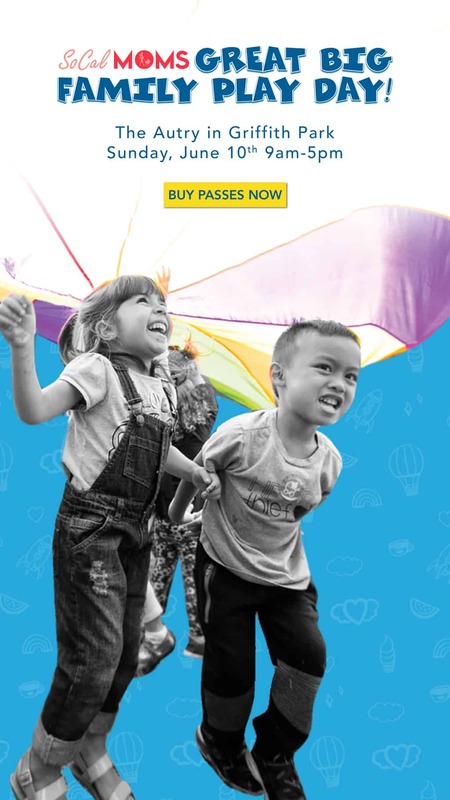 Children can chooose to navigate through the Great Big Obstacle Course, make one-of-a-kind masterpieces at the Great Big Art Experience, soak up the sun at the Great Big Pump and Splash station or get their wiggles out at the Great Big Kids Sports Arena! There’s also a special play area designed for the little tikes called The Great Big Baby Play Area. And if you kids need to rest a bit, they’re more than welcome to join the activities at the Great Big Storytime Circle.